15 delegates from across Ontario and Quebec attended a human rights delegation to the Algonquin Nation of Barriere Lake this August. In this trip, these delegates visited the Algonquin reserve at Lac Rapid and their traditional territory, 45 minutes north of the reserve. The purpose of this delegation was for the delegates to learn and understand the history of the struggle of Barriere Lake. And in return, it was for the community to gain more support for their fight over their self-determination and self-governance. More than 3 months later, the situation of Barriere Lake has not changed …. The Algonquins of Barriere Lake, Mitchikanibikok Inik, is a small yet strong First Nation. Their 59-acre reserve at Lac Rapid is 4 hours north of Ottawa, in north western Quebec. Their traditional territory covers the entire area of La Verendrye wildlife reserve. Mitchikanibikok Inik has never surrendered Aboriginal title to its traditional territory. 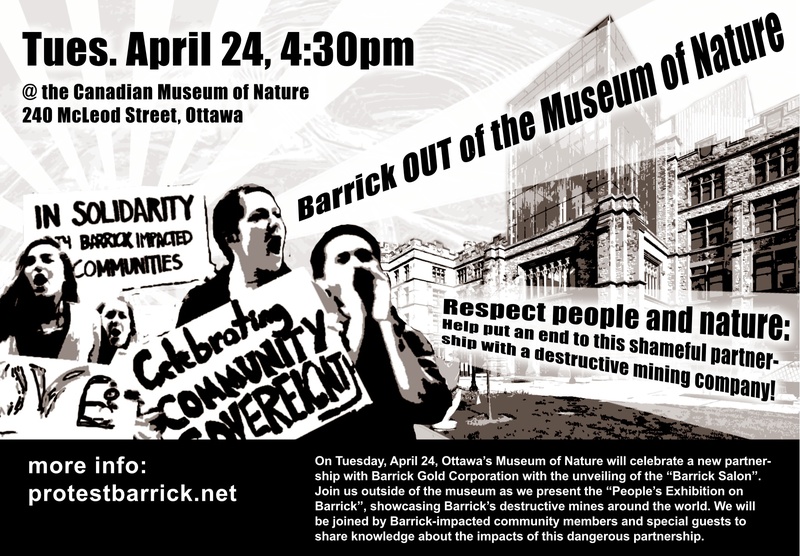 This event will be facilitated by Pei-Ju, Indigenous Peoples Solidarity Movement – Ottawa. A DAY OF ACTION to support the Algonquins of Barriere Lake has been planned for Dec. 13. This event is also our attempt to invite you to learn about the community. And hopefully, you will also be inspired and decide to stand together with Barriere Lake and us (their supporters) for the day of action! Background: HOW IS THE GOVERNMENT DESTROYING BARRIERE LAKE’S TRADITIONAL GOVERNMENT? AND WHY? Barriere Lake’s traditional government – open to community members who have connection to the land, and in which Elders guide potential leaders and safeguard their customs – ensures that community members maintain their sacred bond to the land and their hunting way of life. The band council electoral system the Harper government has imposed destroys the sacred governance bond the community has with the land. By breaking Barriere Lake’s connection to the land, the Canadian and Quebec governments hope to get away with violating trailblazing environmental agreements and with illegally clear-cutting in Barriere Lake’s traditional territory. Even the acclaimed Chief resigned in protest, refusing to break ranks with the community’s majority. But four rogue band councillors with no community support have been illegally making decisions on behalf of Barriere Lake ever since. Shuttled to secret meetings with forestry companies and government officials, these councilors are being usined by the government to derail Barriere Lake’s precedent-setting environmental agreements and to facilitate illegal clear-cut logging.